Welcome to AAO Online Lectures! 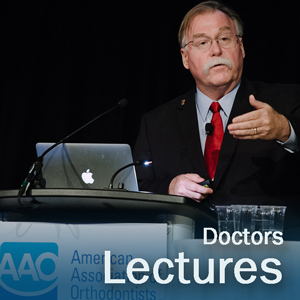 Annual Subscription: Doctors may purchase a one-year annual subscription with unlimited access to the online portion of the AAO Online Lecture Program (all online lectures) for $100. Order online at: Online Store or call the AAO Order Department at 1-800-424-2841. Individual Purchase: Members without an annual subscription can purchase individual lectures with a credit card directly on the Online Lecture Program site. 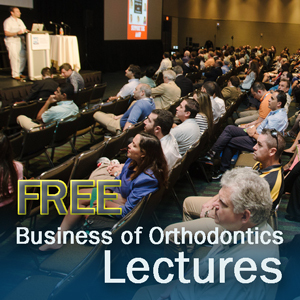 The Business of Orthodontics series is provided at no cost for all members. AAO Orthodontic Staff Club - your staff members may subscribe for free if they join the AAO Orthodontic Staff Club first. For more information go to Orthodontic Staff Club. Online lectures are reviewed every three years to determine their rerelease. Online lectures were reviewed in December 2017 and are valid until December 2020. Presenters who have a financial and/or beneficial interest in any product or service related to their presentation are noted and the disclosure listed. 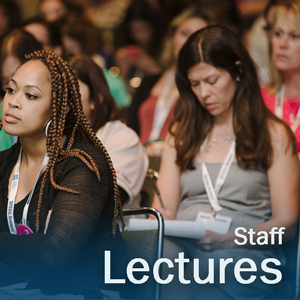 Submit your request in writing to the AAO Education Department via email to education@aaortho.org. Telephone cancellations will not be accepted. Your refund request should include the member’s and the reason for the refund. All refund requests are subject to approval by the AAO. All approved refunds will be processed within 30 business days after the approval. This Continuing Education Program provides attendees with a relevant and rewarding continuing education experience. However, neither the content of a course nor the use of specific products in any program should be construed as indicating endorsement or approval of the views presented or the products used by the AAO or by any of the respective subsidiaries. Speakers are required to disclose to participants any financial, commercial or promotional interest in a product or company that may influence their presentations; however, the AAO shall not be liable for a speaker’s failure to disclose such interest. The American Association of Orthodontists is an ADA CERP Recognized Provider. ADA CERP is a service of the American Dental Association to assist dental professionals in identifying quality providers of continuing dental education. ADA CERP does not approve or endorse individual courses or instructors, nor does it imply acceptance of credit hours by boards of dentistry. American Association of Orthodontists designates for all CE activities, 0.25 credit hours will be awarded for each 15 minutes of activity time unless otherwise noted. 2018 Webinar - Is Sleep-Related Breathing Disorders Another Deja Vu Of Temporomandibular Disorders In Orthodontics? Consultant and Stockholder – Invisalign – Align Technologies, Inc.
2018 Webinar - Your Team is Your Greatest Marketing Asset!